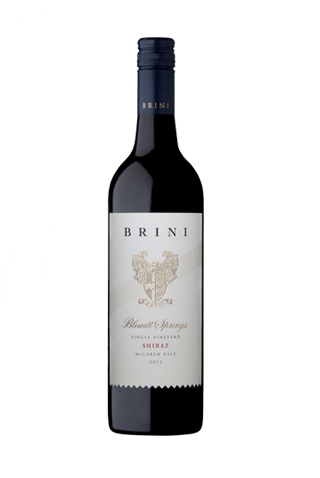 The Brini Blewitt Springs Shiraz shows a bright vibrant red colour with purple hues. Dense mixed berries on the nose compliment the inviting spicy notes. Brooding wild raspberries envelop the palate leading to a rich velvety long and well-balanced finish. The subtle oak influence integrates well with the soft tannins. This is a humdinger of a wine, crafted from 70 year old vines, displaying an outrageously supple juicy and complex character. A classy wine to delight the senses.